If you fancy seeing the Spanish landscape on a thrilling boat ride, then The Banana Boat packages are for you. 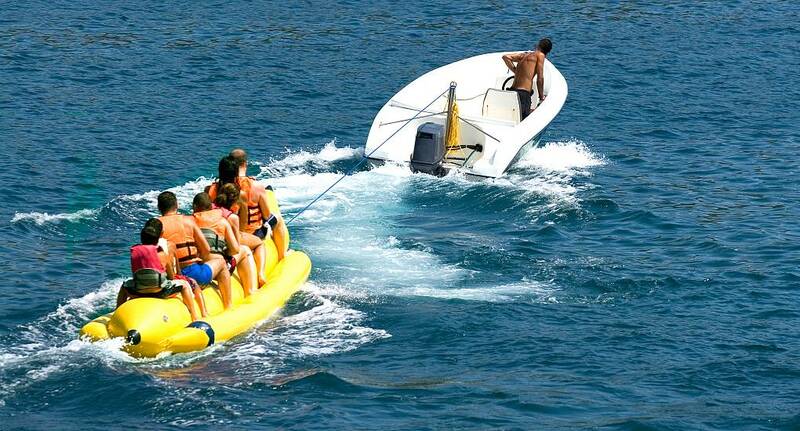 The Banana Boat is a recreational boat that's designed to be towed at high speeds. It's bright yellow, and yes, looks like a banana! Our Banana Boat packages are located in Benidorm and include a guided bar crawl. Alternatively, if you'd prefer to create your own itinerary, then that option is open to you too. So if you want your stag do to be remembered for years to come, then book a Banana Boat package with The Stag and Hen Experience today.